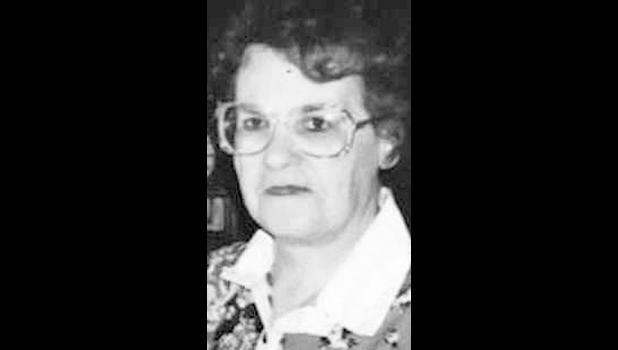 Frances “Fran” Gibson, 77, Tucson, Ariz., passed on Thursday, Oct. 11, 2018, in the presence of her family. Fran was the oldest child of Robert and Virginia Dannenberg. Fran’s family moved to Holton when she was in elementary school and Fran graduated from Holton High School in 1959 and attended Washburn University. Fran lived the first 25 years in Kansas before moving to Tucson with her husband and young family. Frances was preceded in death by her sister, Karen. She is survived by her husband of 58 years of marriage, Allan; brothers Charles and his wife Joan, Holton, and Robert III and his wife Patty of Perry; four children, Tamara and husband Rex, Spokane, Wash., Dr. David and wife Wendy of Franklin, Tenn., Ann and husband David of Littleton, Colo., and Jill Gibson Sinclair of Tucson, Ariz.; a grandson (raised as a son), SJ and his wife Erika of Safford, Ariz.; nine other grandchildren, Michael, Kelsey, Nicholas, Reid, David, Jack, Kenneth, Matthew and Bryana; and one great-granddaughter, Elizabeth. Fran chose to be a homemaker all her life and was devoted to her children and grandchildren and to her gardening. Memorial services will be held in the Rose Garden at St. Paul’s United Methodist Church in Tucson, Ariz. on Saturday, Nov. 3 at 2 p.m., with her ashes scattered in the Rose Garden at St. Paul’s.